Professor Tamara Munzner of the University of British Columbia visited the giCentre in early February. 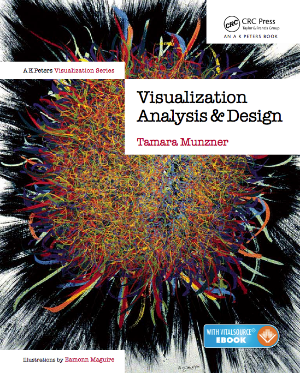 Tamara gave a giCentre research seminar outlining the approaches to visualization presented in her new book Visualization Analysis & Design. The book provides a comprehensive and systematic answer to the question - how do we design systems that use visual representations of data to help people carry out data dependent tasks more effectively? The seminar did so too - introducing Tamara's framework for analyzing the design of visualization systems to ensure that designs are effective for particular tasks and data sets across a variety of application areas.